I’ve reached that part of my Camino planning when I’m buying all the things and simultaneously promising that I’ll pack lighter this time. You’d think by now, prepping for my third visit to the Camino, I’d have everything I need. But a new hiking shirt (and matching Buff headband) seemed justified, and, well, those pants from 2015 don’t fit the way that they used to (when “they” say your body changes after 40, believe them). So it’s back to Kuhl for an updated fit. But let’s be real: when it comes to Camino planning, it’s all about the shoes. Ugh, the shoes. The most important piece of equipment for a through-hiker. And yet the one thing that no matter how much I research, and how many experts I talk to, I just can’t seem to get right. For my third Camino, I’m putting my faith in a fourth pair of shoes. Camino friends, meet my new Hoka One One Tor Tech Mids. My first Camino started in a pair of Merrell Bare Access trail runners. “This is what people who are walking the Pacific Crest Trail are wearing,” said the sales guy at REI. He never even mentioned arch supports, and I was too new and clueless to ask. I wanted to be a minimalist hiker. I wanted something lightweight. I wanted to think that a long hike was something I could do in my normal, around-the-city shoes. Those PCT hikers clearly didn’t have tender feet that fell apart at the first sign of a pebble on the road. I have high arches tendon issues, scar tissue from an old injury, and who knows what else. Those Merrells are fantastic for some people, I’m sure, but I am not those people. Bare Access broke me. I suffered and limped and swore and cried across half of France before Eric suggested that we replace the shoes. My second Camino shoes, which were Salomons. I bought them in a hurry, from a salesperson who spoke only French, so I don’t know the specific model. But those substantial hiking shoes – plus the arch support inserts inside, and the hiking poles – got me across another 700 miles. They weren’t perfect, and they smelled so bad by the end that I threw them away in a Paris trash can before I got on the flight home. But they taught me a thing or two. 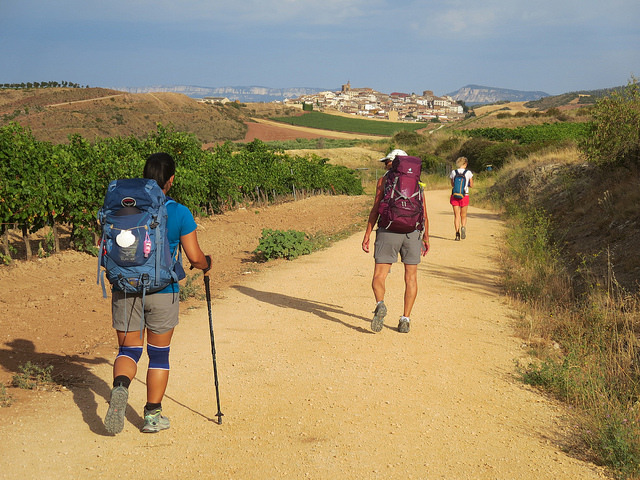 So last summer, after a brutal bout of plantar fasciitis, two podiatrists, one physical therapist, and one chiropractor, I started prepping for a short visit back to the Camino Frances in the dead of summer, and I went back to Salomon. Salomon X Ultra Mids, to be precise. They felt big and clunky, but also protective. I wasn’t in love with them, but they had great reviews. The sales guy at REI said everyone was wearing them. By Day 3 on the Camino Frances, my feet revolted again. I got my first (and only) blister. My feet ached with every step, and I decided to stop two days early. Another podiatrist and a sports doctor later, it’s time for Camino 2.0. I’m planning for 18 days on Camino Norte, which is known for rugged climbs and descents along coastal cliffs, and also for rain. I bought the Hoka One One Speedgoat running shoes about 6 months ago, and they’ve been my in-the-city favorite for boot camps and longer walks. They seem comfortable. Lots of grip, decent cushioning. So I took a plunge on Tor Tech Mid hiking boots. My first impression is that they’re HUGE, with a wide toe box and enough padding on the bottom to make me almost 2 inches taller than I am. I feel a little like I’m clumping around in snow boots. Yet at the same time these boots weigh less than last year’s Salomons, and that wide toe box might save me from some of the tendon issues and cramping that happens to the muscles on top of my feet. I’ve worn them a couple of times on city walks of 4-6 miles. The ankle support feels stiff, but the grip is fantastic. I glide silently above the sidewalks, rather than touching them. The doc also recommended a new brand of arch support, cleverly named Arch Rival, which just arrived, and I’ll get them in the shoes before a longer hike in the woods this weekend. So here I am, 6 weeks out, sending little messages of encouragement to Shoes #4. Please, purple boots with a funny name, be the magic. Together, we’re going to cover some amazing territory. Do you have a Camino shoe story? What worked for you? What didn’t? Last summer, midway through my second Camino, I ended up with a stress fracture after walking on a scenic path rutted with stones. I had already abandoned my Oboze boots because of blisters, and was walking in trail runners. I forget the brand. I bought them in Logroño, and they felt great until Leon, when I went on the old Roman road. I didn’t know for sure that my foot was fractured, so I kept taking off a few days, icing, etc… until I just knew I had to end my walk. I’ve been to a podiatrist also, and now I am walking in a reliable pair of Merrill hiking boots, non waterproof. I love Hokas, but I need breathabilty, or my feet get too hot. Oh no! Those rocky paths can be a killer. I ended up calling my feet “The Princesses” when I wore trail runners, because they were so thin I could feel every little pebble. Glad to hear you’re finding something to work for you. I walked Norte in 2012. I did it in Asolo mid-height, Gor-tex boots. I used Dr. Scholes inserts (step on the machine at the store and it tells you which number to buy). The boots are heavy, no doubt about it. I wore little thin toe socks underneath smart wool socks. I got one small barely a blister on the top of my foot in 500 miles. My feet just did not slide from side to side nor front to back. The hills on Norte (especially in the first week) are pretty steep and covered with ankle busting rock and gravel. The boots performed well. I don’t remember the specific style name. Good luck with yours. Foot pain and blisters would be very hard. Finding the right shoes is just so difficult! I’ve had problems with the tendons on the tops of my feet, and a few years ago I started to play around with the lacing and that has helped so much- something to consider if you haven’t already! Oh, that advice about lacing was perfectly timed! I knew about the different lacing methods a while ago, but then forgot with these new boots. I changed the lacing before a short-but-steep hike on Saturday, and the tops of my feet were practically singing in happiness. Thanks! I’m all blisters all the time. I bought silicone caps for the worst of the toe offenders. We called them toe condoms. They looked ridiculous, but you know what… they actually worked. Also – got me some Keens, the widest shoe you ever seen. I can’t wear them in town, but on the trail, my feet swell so… hooray for Keens. 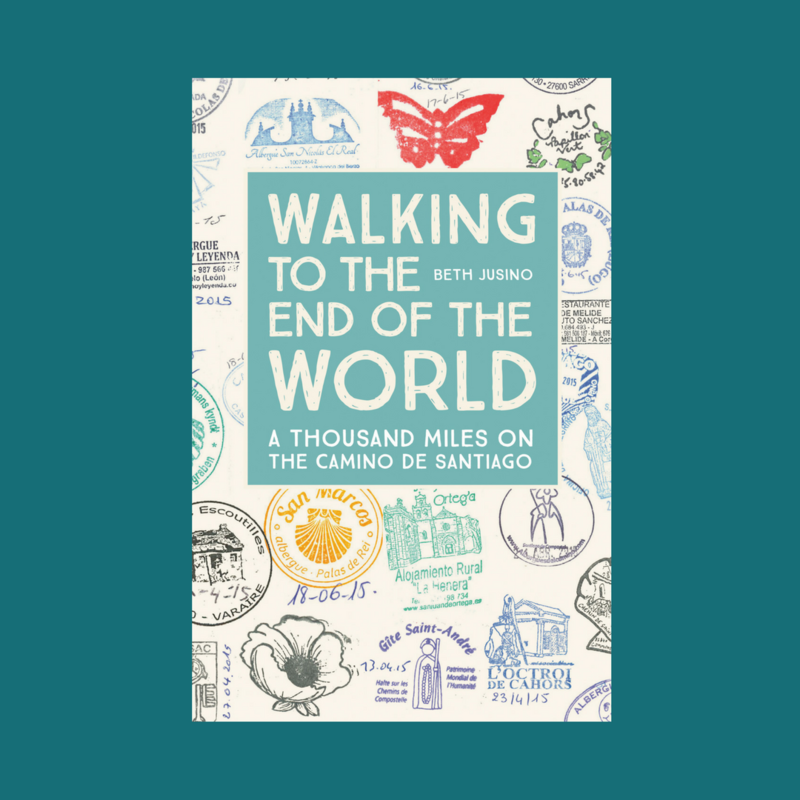 The Camino…it’s all about the feet. , my feet heeled during the rest of the camino journey. Oh! yes, shoes can be so important. When we walked “sur le chemin” in France we made the mistake to walk in simple running shoes. After only 1 km my feet were already sore. I remember looking at all the shoes at the pilgrim’s gite in Conques and 90 % were hiking boots. i had problem also with plantar fasciitis in 2015 ( after our walk in Spain). I am learning to stretch better my calf , use an arch support or try anything else so I can keep walking.